A holiday house on the Azores costs on average USD 548 in the cheap travel period and USD 997 in the peak season per week. These details are of course in relation to the house and not per person as well as includes the obligatory additional charges. The beautiful collection of islands that make up the Azores are actually part of Portugal, but the piercing blue sea and verdant forest feel light-years away from the continent. In fact, the two western most westerly islands are technically in the USA. 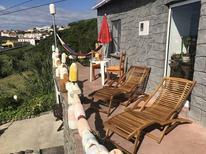 But whether you opt for a holiday rental on the old whaling island of Faial or rent a modern holiday apartment on São Miguel, you’re in for a real treat. Between June and September, the Azores are warm, and the sea temperatures perfect for swimming. 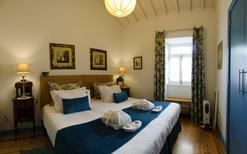 Book a holiday home on the Azores between these months, and you’ll find plenty of domestic flights scheduled. Most people visit between July and August, so come at either end of that period to avoid the crowds. If you do visit during the winter months, expect rain and choppy sea conditions. 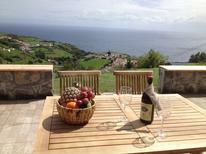 Booking a holiday home on the Azores is the first step towards discovering these magical islands. 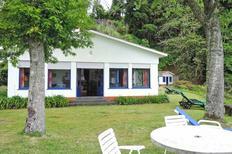 Take coastal hikes or mountain bike trips on Flores, enjoy the hot springs on São Miguel or go bird watching on Corvo. 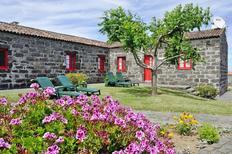 Try diving or go dolphin-watching on Graciosa and sample some fantastic cow’s cheese on São Jorge. If beach holidays are more your thing, head to Santa Maria for exquisite sandy stretches and warm waters. 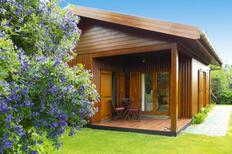 If you and your family enjoy the great outdoors, you really can’t go wrong with a vacation on the Azores. 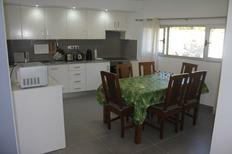 Book online with TUIvillas.com to find the perfect holiday apartment for your family. At TUI Villas we have a wealth of experience, and offer a friendly and reliable service so you can get on with the important job of enjoying your family holiday.